For this article, you’ll be using the acquit-example repo as an example. This repo defines a trivial REST API in the `server.js` file. There’s one route: the `GET /user/:user` route, which returns a user object if the username is in the list, and an HTTP 404 otherwise. `http-status` defines a map from readable HTTP status names to numeric codes. For instance, `NOT_FOUND === 404`. This module, while simple, is a module that I’d never write a web server without. The `users.js` file included in the above code example is a stub for a real database. In a real application you’d probably want to install MongoDB and Mongoose, but the extra setup would just add extra overhead to this example. The `users.js` file is shown below. Nothing too fancy, but, as you’ll see, enough to enable tests to manipulate the list of users. Another key advantage of API-level integration tests in NodeJS is that you can re-use the same database interface you already use in your code. In other words, you can use Mongoose or whatever your database interface of choice is to insert data for each test within mocha’s elegant flow control. In this case, tests can `require()` the same `users.js` file and manipulate the underlying list of users as shown in the `test/api-integration.test.js` file below. The above code demonstrates the two key ideas of API-level integration tests. First, since you’re using NodeJS, you can create an Express server and then use superagent to send HTTP requests to it. Second, since the server and tests share the same process, you can manipulate the server in whatever way your tests require. You can manipulate the underlying data, shut down the server mid-request, even simulate malicious requests. Hopefully this example shows you why I think NodeJS is so easy to test. 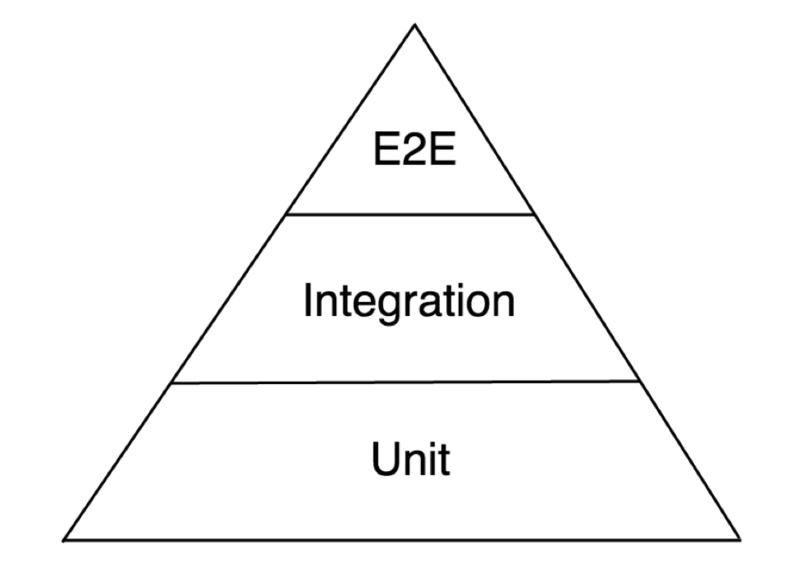 API-level integration tests aren’t a replacement for proper unit testing. Unit tests are like broccoli – you may not like writing them, but you should write them anyway if you want your codebase to grow up big and strong. However, API-level integration tests are useful for catching bugs in integrations between modules, great for REST API TDD, and useful for generating documentation. As a matter of fact, documentation is the subject of the next section. Similar to dox, acquit doesn’t limit you to a particular output format. All acquit provides you is the `parse()` function, which parses your tests into a handy format for documentation generation, and the `trimEachLine()` helper. The `trimEachLine()` helper is useful for trimming asterisks from multiline comments. The `parse()` function uses the esprima JS parser to parse the mocha tests you saw in the last section into “blocks” that look like what’s shown below. "*\n   *  In addition to parsing the test contents and code..."
"code": "\n    users.list = ['test'];\n..."
"*\n   *  Acquit also has a handy `acquit.trimEachLine()` function..."
You can then use this output to generate markdown (as shown in this example), jade, plain HTML, or whatever your preferred output format is. Running `docs.js` file with `node docs.js` will generate a `README.md` file from your tests that provides some high-level documentation for the example REST API. Hopefully this article got you excited about generating documentation. With acquit, generating documentation is as easy as writing good tests. With API-level integration tests and acquit, you have no more excuses to avoid documenting your REST API. Bonus: How do I debug Mocha unit-tests ? Node-inspector is a very powerful open-source debugger interface for Node.js applications that uses the Blink Developer Tools (formerly WebKit Web Inspector). The project maintenance and support is sponsored by StrongLoop. Also it has cool features like websocket support, remote debugging (server side), preloaded breakpoints and can be embedded into applications. To automatically debug with mocha tests, you have to start _mocha as the debugged process and make sure the execution pauses on the first line. This way you have enough time to set your breakpoints before the tests are run. 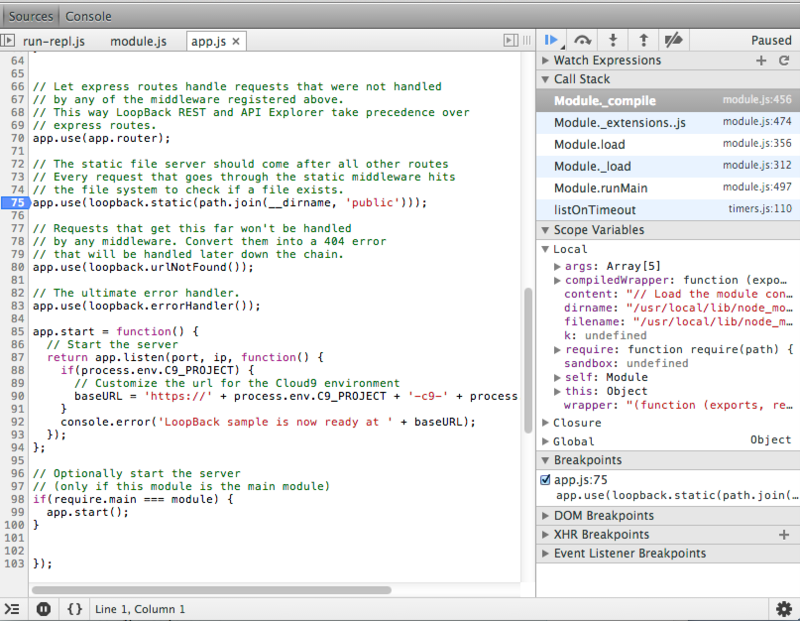 Here is a snapshot of Node-Inspector in flight.